Over 130,000 user-created puzzles published! Create your own picross puzzles up to 25x25 in size with 18 colors and 10 color schemes to choose from. Make puzzles easily on your phone or tablet with undo, redo, and an instant solvability checker. 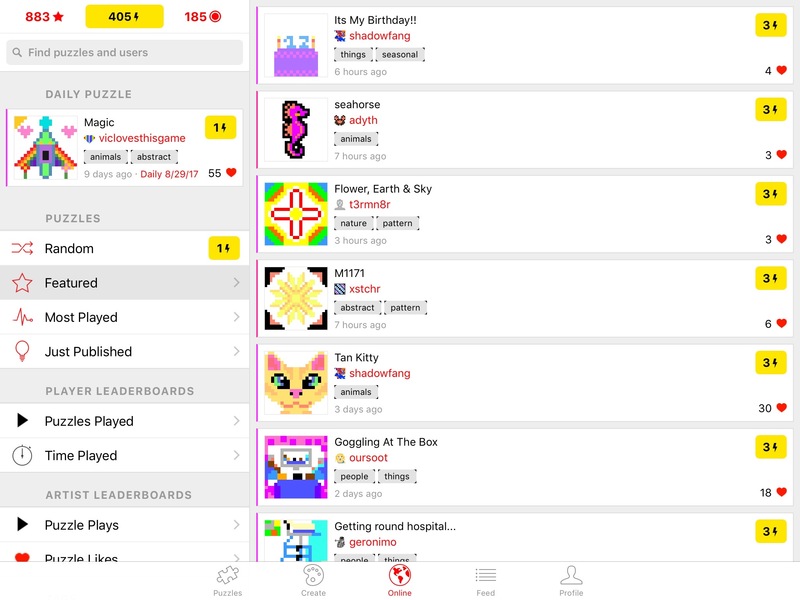 Publish your puzzles to your profile and get likes and followers. If your puzzle is good enough, it will show up in the Featured section or be selected as the Daily Puzzle, where it will be played by thousands of players! Login every day for a new 20x20 challenge, hand-picked by the Falcross editors from the best user-created puzzles. Picross (also known as nonograms, paint-by-numbers, hanjie or griddlers) is an addictive type of puzzle that combines logic with pixel art. It's kind of a like minesweeper combined with sudoku. The goal of picross is to use the number hints along the top and left sides to figure out which pixels to fill in. When you fill in all the right pixels, you uncover a beautiful pixel art image! 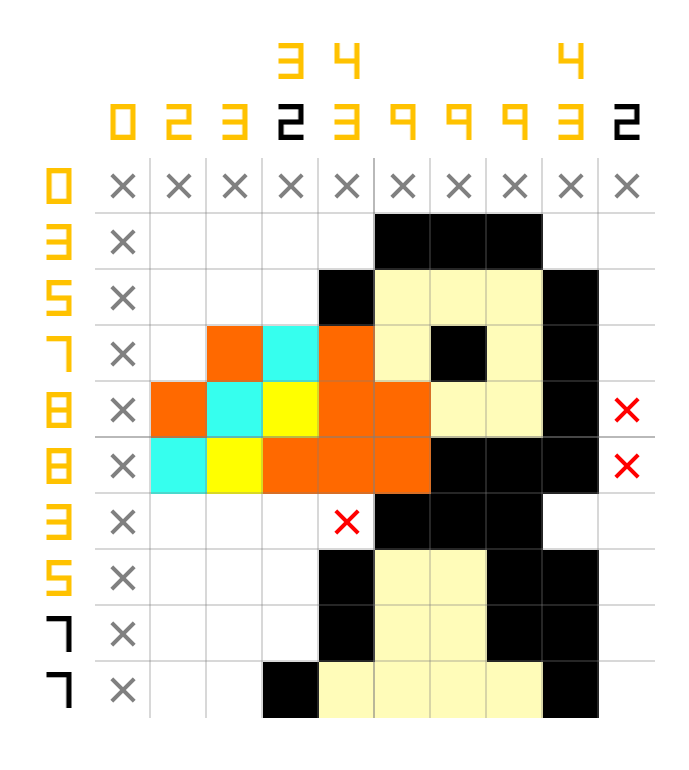 Falcross is not only a puzzle game but also a large community of thousands of artists creating and publishing picross puzzles online. Try out the game and put your logic skills and creativity to the rest!